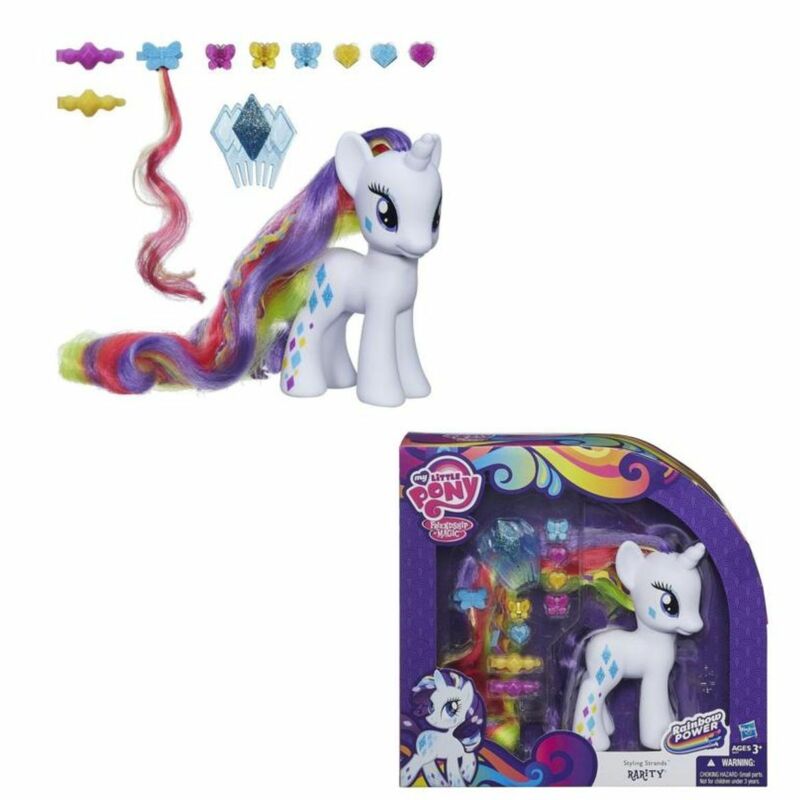 Your Rarity figure has long, flowing hair, and you're the only stylist to make her look her rainbowified best! Your Rarity figure has long, flowing hair, and you're the only stylist to make her look her rainbowified best! 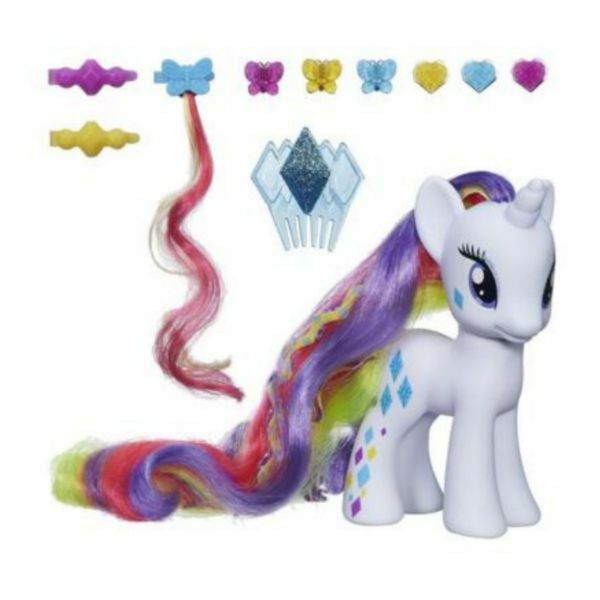 You'll create beautiful hairstyles for her flowing locks with the included comb and hair clips. When her hair is perfect, the dazzling gems will make her the shiniest pony in the paddock! 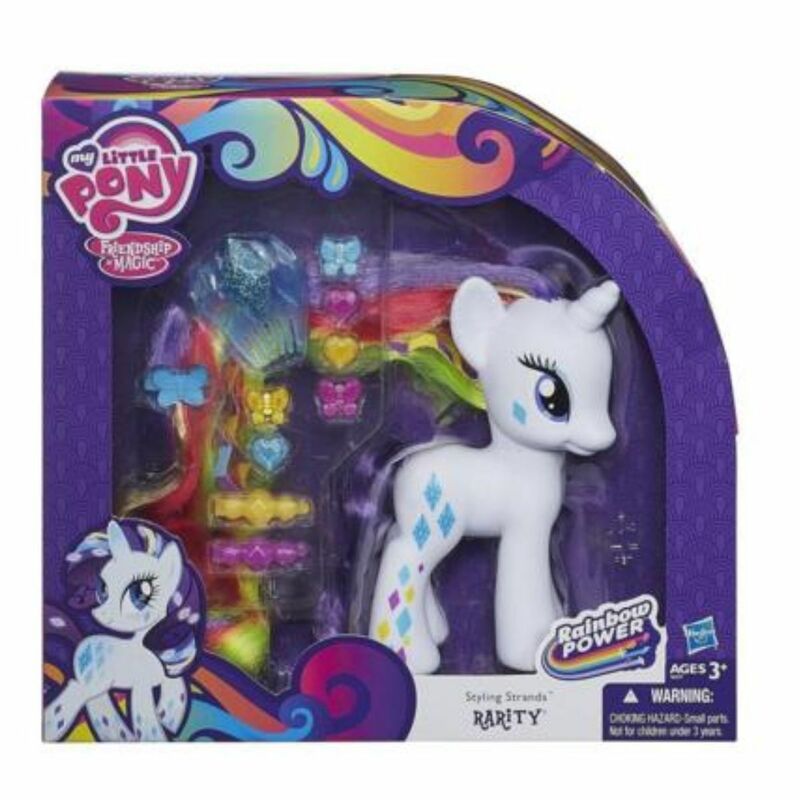 Pony figure comes with 10 accessories.